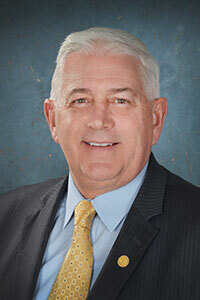 LANSING, Mich. — State Sen. Ken Horn recently wrapped up his Hometown Tours for the year at Kluck Nursery and Christmas tree farm in Thomas Township. 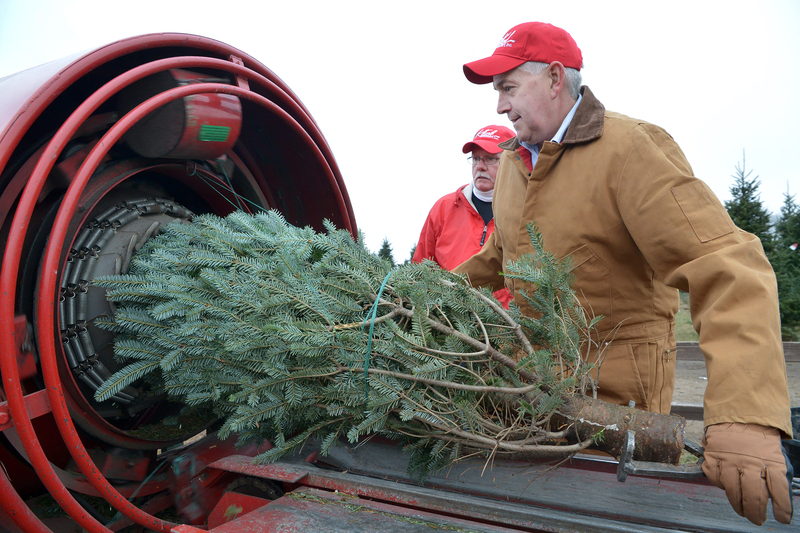 Marty Royer, who is responsible for marketing and human resources for the nursery, greeted Horn and made sure the senator was equipped for an afternoon of harvesting and preparing Christmas trees. Kluck Nursery is a fourth generation, family-run operation that has held its roots in the Saginaw community since the 1920s. Beginning with an acre of land, the Kluck family has expanded its operation to a full-service wholesale and retail nursery that has exponentially increased, now encompassing more than 300 acres. After getting geared up and gathering the equipment, Horn and Royer began combing row after row, inspecting the trees and making sure they were all in perfect condition before consideration for sale. Once a tree is selected, it is cut down, placed on a pull cart and taken up to the preparation area where it will go through various stages before reaching the customer’s vehicle. Each stage has its own special purpose related to customers’ various needs. First, the tree is measured with rods that are seven, eight or nine feet, which represent ceiling height. This ensures the tree will comfortably fit in the customer’s home. It is then trimmed and drilled for mounting in a Christmas tree stand and shaken to get rid of any loose needles. Finally, it goes through a baler, where it is wrapped with twine and prepared for easy transport. “I had a bit of trouble with the baler at first, but I got it down and I was able to wrap some trees for a few customers,” Horn said. “It was a great experience learning the ins-and-outs of the operation and getting to meet a few new faces throughout the process. PHOTO 1 CAPTION: State Sen. Ken Horn, R-Frankenmuth, speaks with owner Tom Kluck (right) and Marty Royer (center) during the final stop on Horn’s 2015 Hometown Tour series. 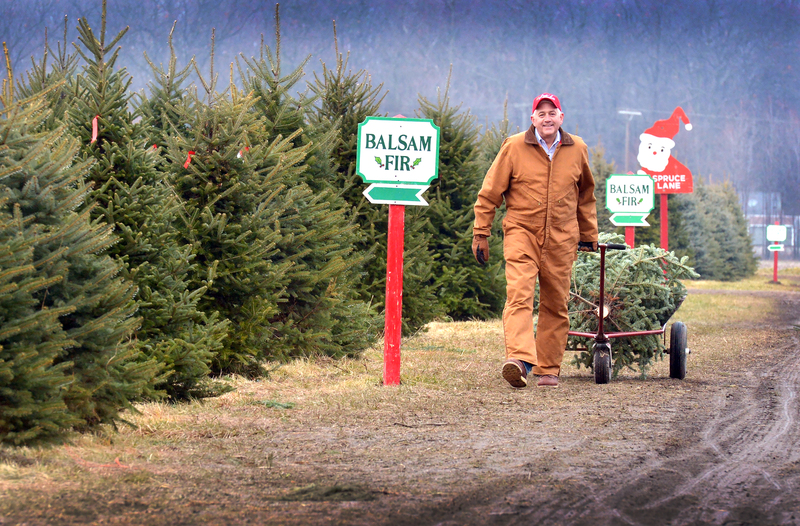 PHOTO 2 CAPTION: After choosing and harvesting a tree, state Sen. Ken Horn, R-Frankenmuth, loads his pull cart and makes his way toward the prepping station, where the trees are prepared to take home. 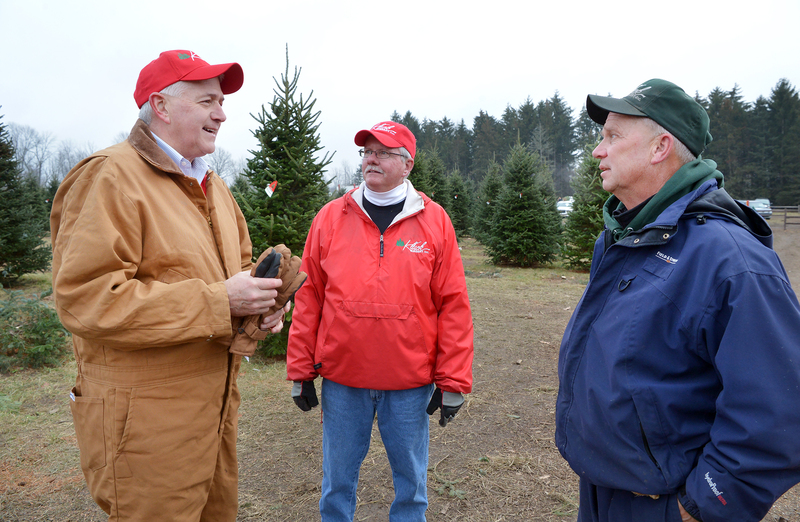 PHOTO 3 CAPTION: State Sen. Ken Horn, R-Frankenmuth, receiving instructions from Royer on the proper technique for wrapping a tree with the baler.